Plan and implement your most successful annual fund campaign to date. Your nonprofit’s annual fundraising campaign is your biggest campaign of the year. As you plan your fundraising calendar, be sure to brush up on these annual fundraising essentials so your team can reach (and exceed) its goals this year. 1. What is an annual fund campaign? Every year, your nonprofit raises money for its annual fund. This refers to the money set aside to cover essential operational costs of your organization, as well as funding used to supplement other ongoing campaigns. 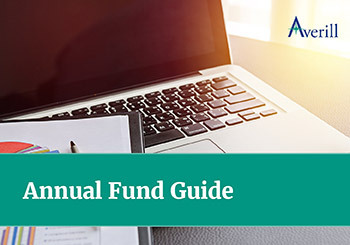 Contributions to your annual campaign are considered “unrestricted funds,” meaning that your nonprofit can apply these gifts to any expenses you have. That makes finding annual fund supporters high on the priority list for nonprofits of all shapes and sizes. However, because givers often consider your annual fundraising campaign to be less “urgent” than your other, more targeted campaigns, securing the supporters you need to reach your annual fund’s goal can sometimes be a real challenge. Luckily, when your nonprofit applies an expert-level understanding of annual fundraising with a well-thought out annual fund campaign plan, there’s nothing stopping your team from securing the gifts you need and building lasting relationships with supporters. 2. How does annual giving break down? Just as your nonprofit would plan a gift range chart for any other high-impact fundraising campaign, so too should your team outline what gifts you’ll need for your annual fund and who will provide them so you can plan your annual fund appeals. Major Giving. When planning your annual fund’s gift ranges, 60% or more of your goal should be provided by major gifts. Depending on the scale of your organization, what qualifies as a major gift will differ. About 10% of the total number of annual fund gifts you’ll acquire will fall into this key giving category. Mid-Range Giving. For your nonprofit’s middle-of-the-road supporters, you’ll need to solicit between 15-25% of your annual fund’s goal. These mid-range gifts should account for approximately 20% of the total number of gifts to your annual fund. Consider this your fall-back tier: for those who turn down a major gift, counter with a mid-range gift. Lower-Level Contributions. Finally, the lowest level of giving to your annual fund will account for the largest proportion of gifts on your gift range chart. 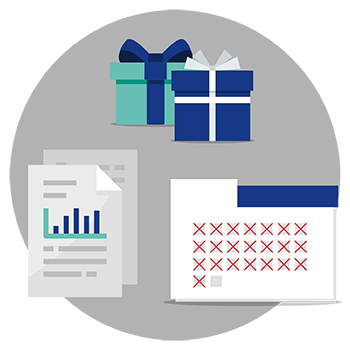 While only 15-25% of your annual fund’s goal will be supplied by low-level gifts, nearly 70% of all gifts made to your annual campaign will fall into this tier. 3. Why are annual fund campaigns important? Although reaching your annual fund’s goal is an essential factor in covering the operational expenses of your cause, many nonprofits fail to give annual fundraising the same attention as they do for other high-impact campaigns, like capital campaigns. The fact of the matter is, though, that annual fundraising makes carrying out your nonprofit’s mission possible. 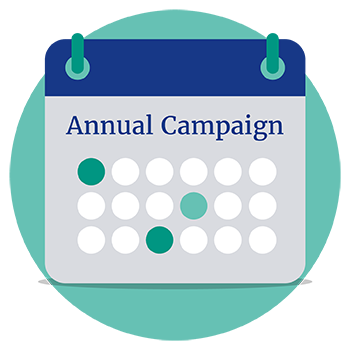 Better yet, your annual fund campaign calendar gives your team ample opportunity to strengthen relationships with supporters while building fundraising capacity. Not only does that set your annual fundraising campaign up for success, but it also lays the groundwork for future fundraising achievements. Building recognition of your cause and organization. Learning more about what inspires your contributors. Testing out new solicitation and stewardship strategies. Boosting your giving retention rate. Introducing new supporters to your cause. Finally, what’s the best reason to give more attention to your annual fundraising efforts? Reaching your annual fundraising goals is a sure-fire way to prove to givers that your organization is worthy of their support. Without that level of basic trust, soliciting gifts for other campaigns will be an uphill battle. One of the biggest factors at play when it concerns reaching your annual fund’s goals is successfully carrying out the timeline of your campaign. In preparing for your annual fundraising campaign, keep in mind these key benchmarks to be aware of. 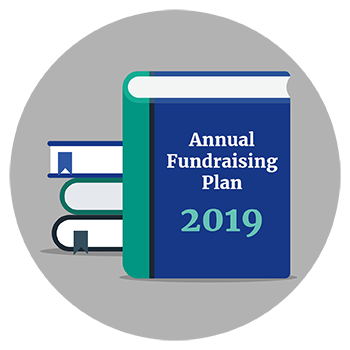 During this planning phase, your team will convene to plan out your annual fundraising campaign and lay the necessary groundwork to carry it out over the next year. This typically will begin several months before your annual fund campaign actually launches. 1. First, partner with a fundraising consultant if you haven’t already. 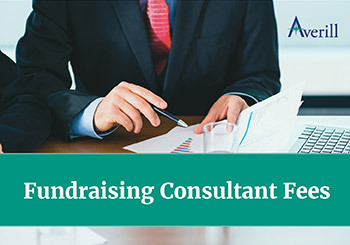 Fundraising consultants can provide your team with wisdom and an outsider’s eye that will prove crucial to effectively planning your annual fund campaign. Your consultant should be among the campaign planning leadership to ensure their voice is heard. 2. Next, develop a preliminary annual fundraising campaign plan with your team. Set your initial fundraising goal and compile a list of prospects for giving. Create assets like a case for support, gift range chart, and solicitation plan. Be sure to involve staff members, volunteers, important contributors, your board, and other key stakeholders. 3. Then, conduct a fundraising feasibility study with your consultant. 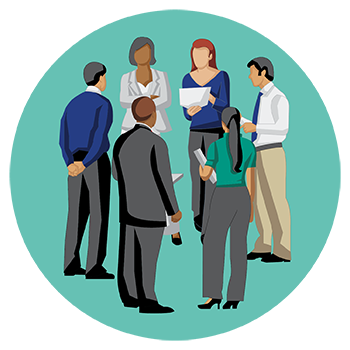 They’ll interview stakeholders in your organization and ask them how they feel about your preliminary campaign plan. After the study you’ll incorporate their feedback as you finalize your nonprofit’s annual fundraising plan. Once your annual fundraising plan is finalized, your nonprofit will begin implementing it. The second phase of your annual fundraising campaign will be the longest and will account for the bulk of your solicitation, engagement, and fundraising efforts. Stewarding your supporters. During the planning phase, your team should have developed a stewardship plan and calendar to follow. Whether you send fundraising letters, make personal calls, or meet face-to-face with key givers, successfully implementing your stewardship strategy requires careful attention. Soliciting annual fund gifts. Once you’ve strengthened relationships with new and returning givers, your nonprofit may begin making official solicitations. Your gift range chart will be your guide when extending annual fund asks. Our tip? Since annual fund campaigns have lengthy calendars, don’t be afraid to ask supporters for a second gift. Following up with givers. After your nonprofit has received a contribution, immediately follow up with a thank-you call, email, or face-to-face meeting. If your members are a major source of support, make sure your membership software allows you to directly message them. Especially with annual fundraising campaigns, it’s essential to supporters that their contributions are meaningful and necessary to achieve your mission. During the last few months of your annual fundraising campaign, you’ll need to be aware of some necessary final steps. The following guidelines will help your team ensure that your goal is met and that the givers you’ve connected with will come back for your next campaign. Promoting matching gifts. Did you know that as much as $10 billion in nonprofit gifts is left on the table every year by individuals who are unaware of how to receive an employer matched gift? Ensure that your annual fund gifts are maximized by promoting corporate matching gifts to your supporters throughout your campaign, and especially at the end. Running a year-end fundraising initiative. The last months of the calendar year are some of the most successful for fundraising. Between Thanksgiving and New Year’s Eve a large portion of your supporters will make charitable gifts, so be sure to steer them toward your annual fundraising campaign for a last-minute fundraising boost. Sending final appreciation letters. Even if you’ve already thanked your supporters for their contributions, near the finish line of your annual fund campaign your team needs to send out a final appreciation letter. This serves the dual purpose of showing thanks to givers as well as reminding them of your ongoing campaign. Now that we’ve reviewed the ins and outs of planning and implementing your annual fundraising campaign, it’s time to take a look at some of our top strategies for making your annual fund campaign a big success. One of the biggest mistakes your nonprofit could make when planning an annual fundraising campaign is setting an unachievable fundraising goal. All too often, nonprofits set ambitious fundraising goals without having built up the capacity necessary to achieve them. 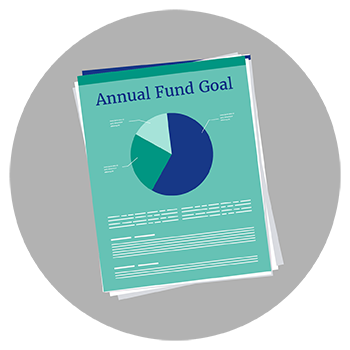 With the guidance of your fundraising consultant, choose an annual fund goal based off of what your organization can achieve, not what you’d like to achieve. This way, you’ll mitigate the risk of falling short of your fundraising goal and blemishing public perception of your nonprofit. More than any other fundraising campaign, your annual fundraising efforts are the perfect time to do all your team can to forge lasting relationships with supporters. Since annual fund campaigns put mission first, you know these individuals are especially inspired by your cause. Your team can ensure lasting support by promoting a membership program, adding a recurring gifts opt-in field to your online fundraising forms, or by upgrading returning supporters to the next giving level. Top membership management systems should offer plenty of customizable options like these. When an organization hits fundraising roadblocks, there’s often an impulse to double down on your fundraising strategy. While snags in your fundraising plan are bound to happen, one of the keys to annual fundraising success is to always remain open to updating your fundraising plan. As difficulties arise, confer with your fundraising consultant to determine how to change your approach. For example, if your team has trouble securing gifts at a certain level, you may need to revisit your prospect lists and do additional stewardship work. Adapting to challenging situations has the added benefit of increasing your supporters’ belief in the trustworthiness of your organization. They’ll also appreciate your willingness to work for and with them to achieve your goals. While every nonprofit needs a well-planned and actionable annual fund campaign plan, not every nonprofit needs the same plan! Your cause, location, community size, outreach capabilities, and volunteer base are all variables that can impact how you plan the most effective annual campaign possible. Consider, for example, the way a school would plan their annual campaign. They know that their primary support base will be the parents of the children who attend the school. Therefore, their campaign plan will be tailored to maximize the impact that these parents can have in helping the school achieve its campaign goals. If you happen to be one of these schools, check out Qgiv’s great list of ideas for school fundraising. Try out these ideas in your next annual campaign to help you succeed! Because your annual fundraising campaign will take place over the course of a calendar year, you’ll need to have tools in place to process gifts no matter where or when your supporters choose to make their contributions. This means investing in an online giving platform is an absolute must. Online giving software refers to the suite of digital tools you’ll leverage to collect gifts through traditional online fundraising forms, mobile giving forms, or even through peer-to-peer fundraising pages. Use these tools to make it as convenient as possible for your annual fund supporters to give. Another way to jump-start annual fundraising at your nonprofit is to take a long-term approach to setting your annual fund campaign goal. Just as you wouldn’t want to set too ambitious of a fundraising goal, you also don’t want your annual fund to remain stagnant campaign after campaign. When you plan a new annual fundraising campaign, determine whether or not you have the resources to grow your goal that year. This might be a dramatic increase or a modest one; however, it’s important that in the long run, your annual fund grows along with your nonprofit. Want to find out how to make the perfect annual fundraising appeal? Read on for our expert strategies and free templates! 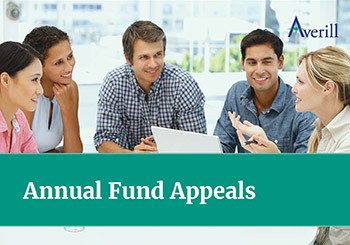 Learn about annual fund appeals. Curious to learn more about annual fundraising campaigns? Visit Double the Donation for their comprehensive guide! 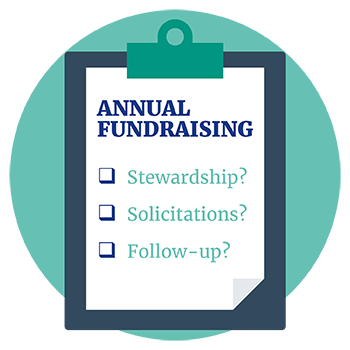 Discover more about annual fundraising. Can’t wait to hire a fundraising consultant before your next annual campaign? Review our guide to fundraising consultant fees! Know more about investing in a consultant.